Australian economy,which is crucial in the fundamental analysis of Australian Dollar and some other currencies, that have relation with the Australian Economy. The economy of Australia is a mixed market economy with a GDP of US$1.525 trillion and total wealth of 6.4 trillion dollars.The Australian economy is dominated by service sector that comprises 68% of GDP. Other remarkable sectors are mining sector (19% of GDP) and agricultural sector (12% of GDP). Australia is a member of the APEC, G20, OECD and WTO. Australia has free trade agreement with ASEAN, Canada, Chile, Korea, Malaysia, New Zealand, Japan, Singapore, Thailand and the United States. In terms of purchasing power parity, Australia has a per-capita GDP that is higher than that of the UK, Germany, and France. 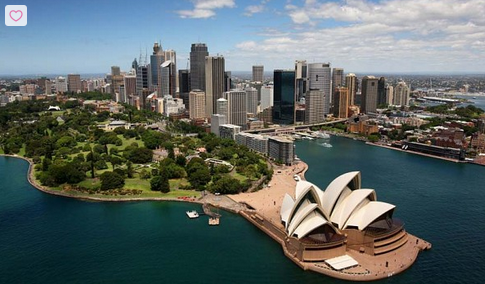 According to the Australian Bureau of Statistics (ABS), the unemployment rate is Australia is 5.8% as of 2013. In early 1980 Australian economy had gone through the process of economic liberalization. In 1983 the Australian dollar was floated and financial deregulation was undertaken. The credit goes to the Prime Minister Bob Hawke and Treasurer Paul Keating. From about 50 years Australian economy has had persistently large current account deficits (CADs), for the 2007–08 financial year Australian current account deficit was up 4% to $19.49 billion. Australia has a narrow export base, one single sector defines the major part of the Australia's Balance of Payment. The microeconomics reform helped the Australian Manufacturing Sector to grow from 10.1% in 1983–1984 to 17.8% in 2003–2004. According to the statistics in 2012, Australia exported $258.8 billion and imported $239.7 billion in that year. Major exported products by Australia are coal, iron ore, gold, meat, wool,alumina, wheat, machinery and transport equipment. Top exporting locations are China 29.5%, Japan 19.3%, South Korea 8.0% and India 4.9%. Australia mainly imports machinery and transport equipment, computers and office machines, telecommunication equipment and parts; crude oil and petroleum products. Top importing locations are China 18.2%, United States 11.6%, Japan 7.8%, Singapore 5.9%, Germany 4.6%, Thailand 4.2% and South Korea 4.0%. The central bank of Australia maintained higher interest rate than the central banks of many other economies. Both international trade and monetary policy are crucial in the fundamental analysis of Australian Dollar. Dear Traders, this post is just an overview of Economy of Australia. As a forex trader, I do not think that you need to learn A-Z about Australian economy,but you need to know the major dimensions of the Australian economy. If you have any comment, you can drop it below.